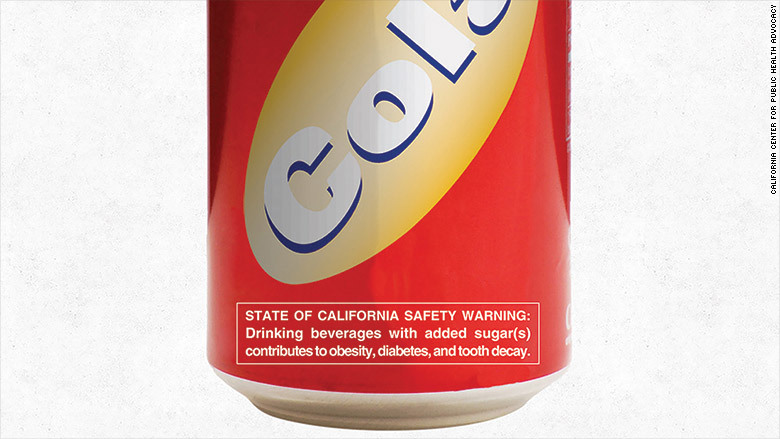 Soda drinkers in San Francisco, consider yourselves warned. The city is on its way to becoming the first in the nation to pass a law requiring health warnings on all advertisements for sugary drinks, putting soda in the same category as alcohol and tobacco. 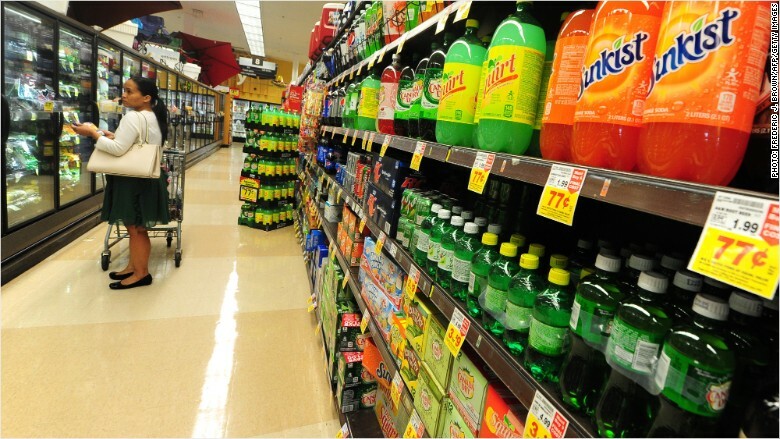 The San Francisco board of supervisors on Tuesday approved an ordinance requiring beverage companies to place labels on advertisements for soda and other drinks warning consumers that they contribute to obesity, diabetes and tooth decay. It also bans advertising of sugary drinks on city-owned property and prohibits city agencies from buying the beverages. "Requiring health warnings on soda ads also makes clear that these drinks aren't harmless -- indeed, quite the opposite -- and that the puppies, unicorns, and rainbows depicted in soda ads aren't reality," Supervisor Scott Wiener, one of the 11-member board that unanimously approved the measure, said in a statement. "These drinks are making people sick, and we need to make that clear to the public." The labels would read: "WARNING: Drinking beverages with added sugar(s) contributes to obesity, diabetes, and tooth decay. This is a message from the City and County of San Francisco." They would be placed on posters and billboards for beverages that have at least 25 calories per 12 ounces. This is not the first time San Francisco has tangled with the soda industry. The California city known for its progressive politics proposed taxing sugary beverages last year. More than 50% of voters in the city backed the proposal, but it fell short of the 2/3 majority needed to pass. Soda supporters say the labels and other restrictions are overkill. The American Beverage Association, which represents the $141 billion beverage industry, issued a statement saying city officials want to "demonize beverages with false claims about health." "The San Francisco proposal is not intended to help consumers, nor will it impact public health," the ABA said in a statement. "Instead it attempts only to frighten consumers by providing misleading labeling about products that are safe and can be part of a balanced diet." However, sugary drinks are the largest source of excess calories in the typical American diet, according to Harold Goldstein, executive director of the California Center for Public Health Advocacy. Goldstein said one sugary drink per day can increase a child's risk of becoming overweight by 60%, while adults with the same habit are 26% more likely to be overweight. Under city guidelines, the supervisors need to vote on the measure at a second meeting next week. Assuming Mayor Ed Lee approves it, the law will take effect in 30 days.